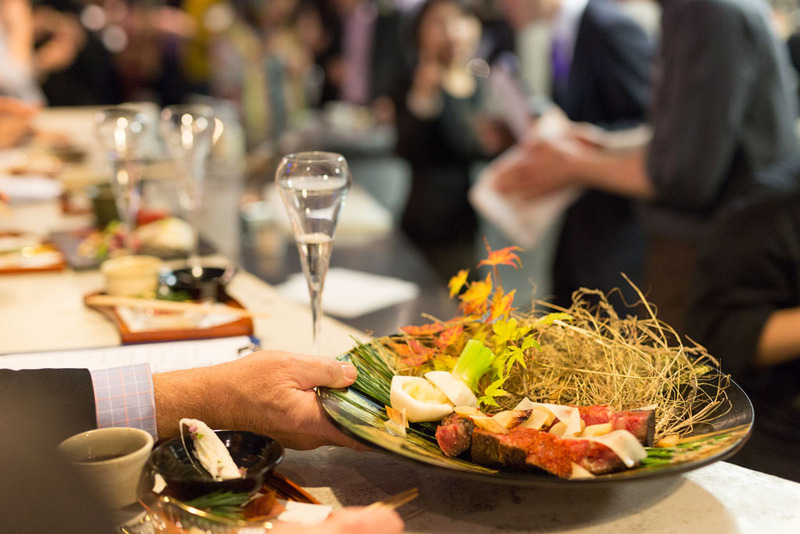 ‘Itadakimasu’ is the phrase used in Japan before eating meals to thank nature and people who brought food to the table for us. 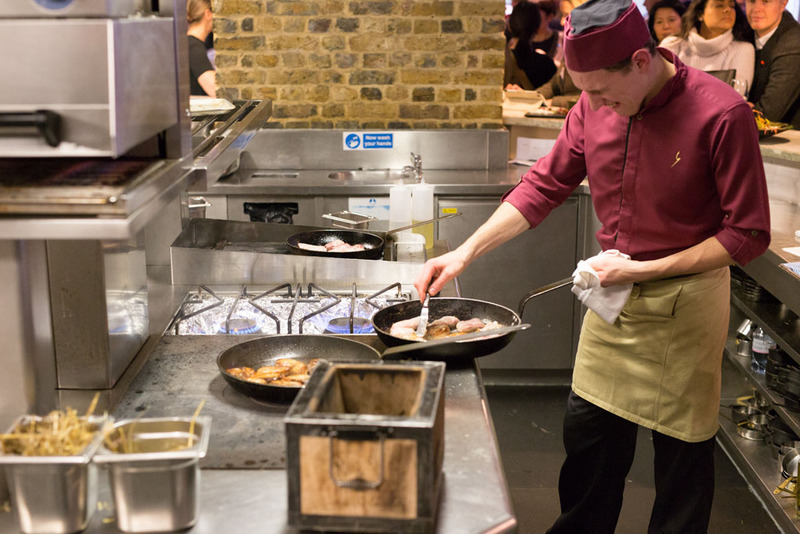 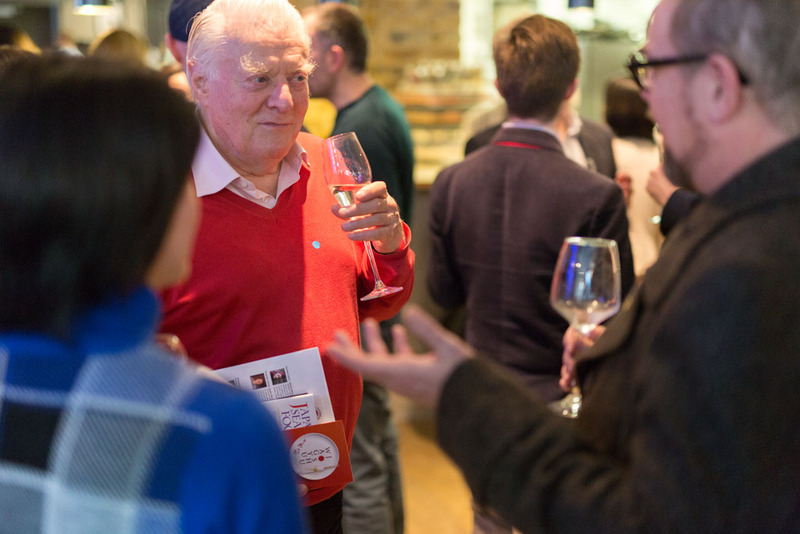 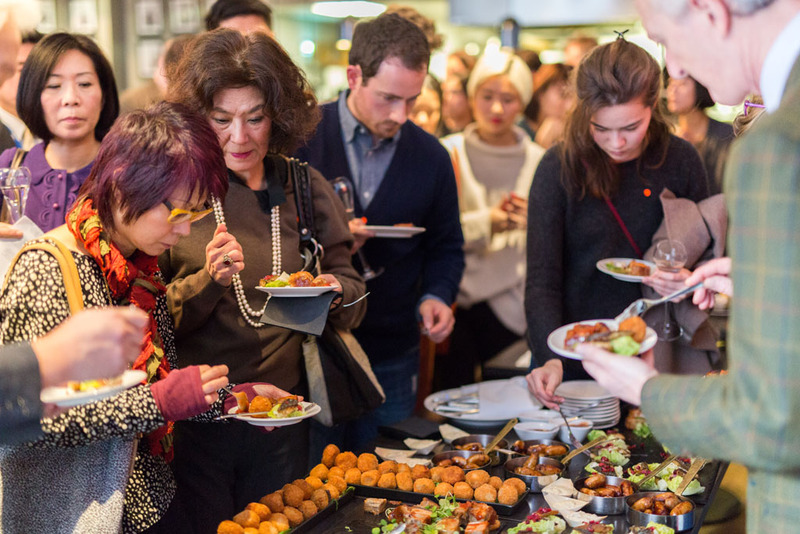 An event for the further understanding of philosophy of authentic Japanese cuisine took place in London on the 29th November and successfully attended by food critics, journalists and food lovers. 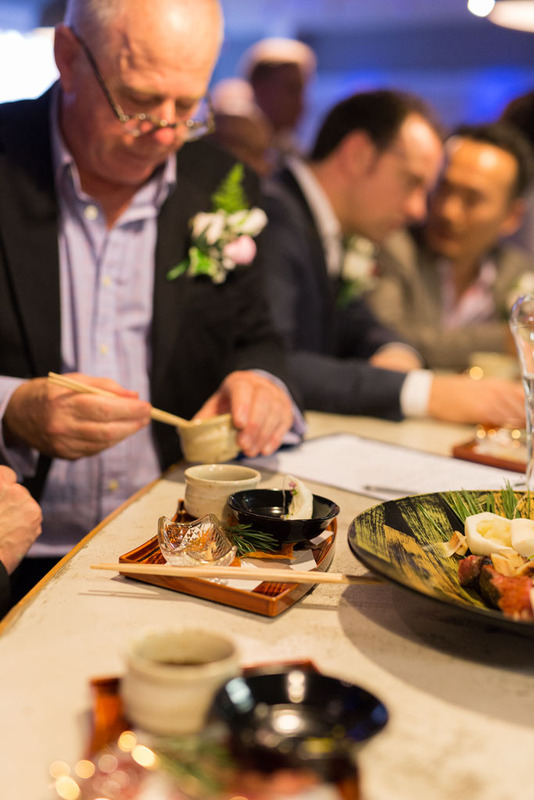 To complement the food, a selection of sake was organised by Sake Samurai UK with a kind sponsorship of Tazaki Foods. 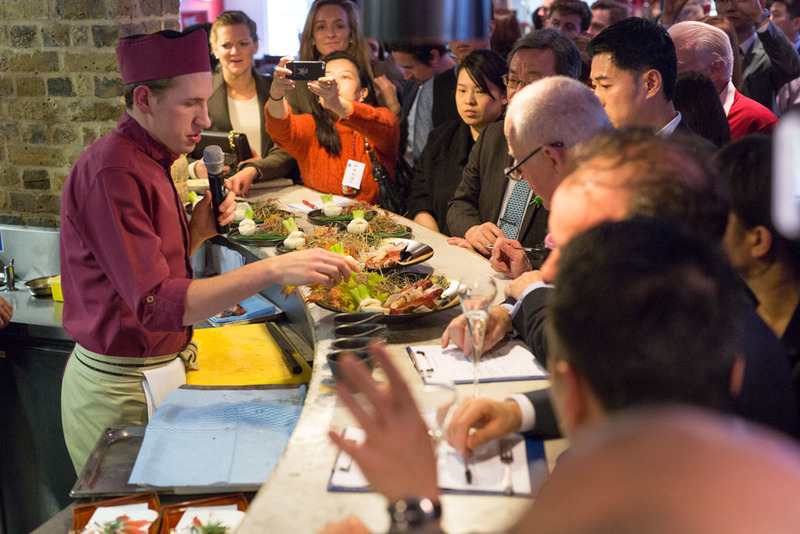 This washoku promotion event was sponsored by MAFF in efforts of promoting Japanese food culture and ingredients overseas. 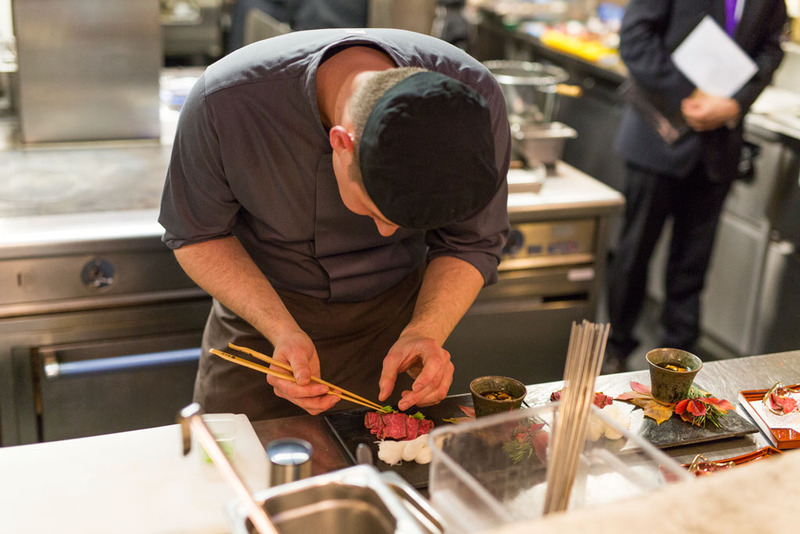 During the event, two finalist chefs Mr. Daniele Codini from Yashin Ocean House and Mr Prezemek Izbicki from UMU restaurant competed to create their inspirational dishes using wagyu beef, demonstrating their exemplary skills. 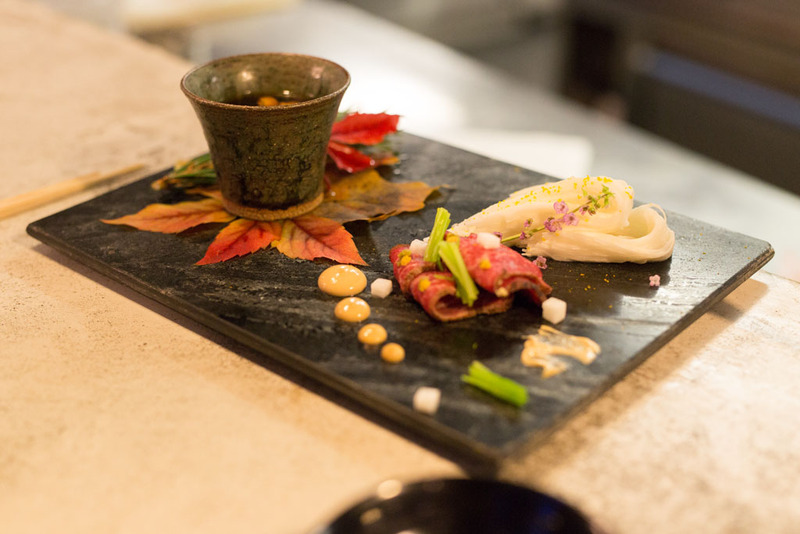 The executive eommittee of ‘ Itadakimasu” day chaired by Mr. Yoshinori Ishii the executive chef at Michelin-starred Japanese restaurant UMU chose the winner of the competition, Mr Daniele Codini, to go on to participate in the “Washoku World Challenge 2015”. 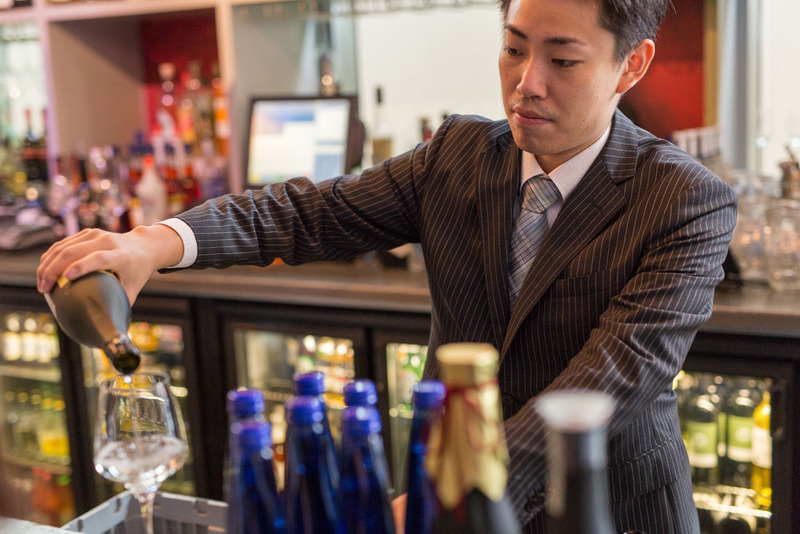 Ikejime, a method of paralyzing fish to maintain its quality, was demonstrated by Yoshinori Ishii. 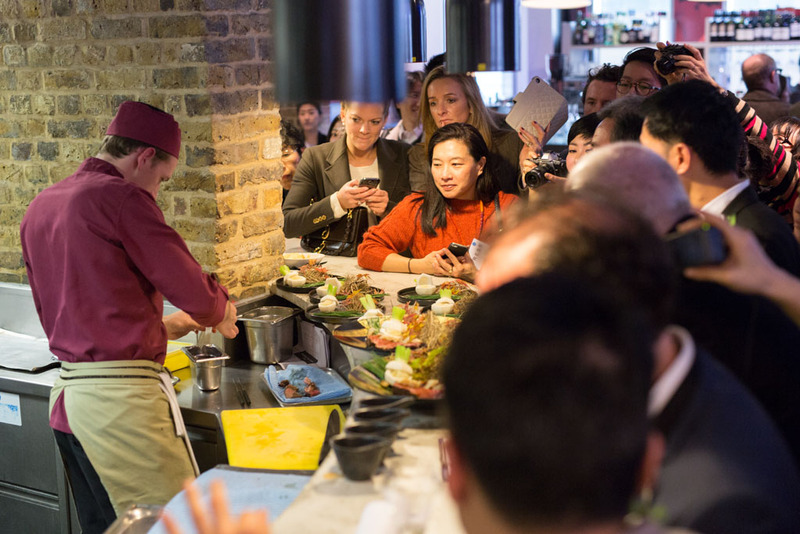 He explained the essence of Japanese cuisine using the highest quality ingredients and ensuring nothing to be wasted – the concept of ‘Mottainai’.